What factors should be considered when choose bike lights? Home > News > What factors should be considered when choose bike lights? LED lamp bead: as the main bike light source of cycling lamp, LED has good Energy efficiency and durability, and there are many different brightness levels for the LED lamp to choose from. Brightness: the brightness of riding lamps on the market is mainly expressed by Lumen. Although lumen cannot accurately say the effective lighting intensity of a lamp. But at present most manufacturers mainly provide lumen value for your reference. May as well according to their own needs to choose the corresponding lumen value of the riding bike light. Beam mode: if it is used primarily for commuting rides on streets, select a headlight with a narrow focus beam. On darker roads or trails, use a wide focal length beam for better peripheral vision. Rechargeable batteries: rechargeable batteries are typically lithium-ion batteries. They can be recharged hundreds of times, making them a cheap and environmentally friendly alternative to disposable batteries. Most rechargeable can provide bike light of continuous brightness until the power runs out and the bike light doesn’t dim. Therefore, most rechargeable lamps have a “meter” or low power warning. All rechargeable batteries have a power indicator light. Duration and battery life: battery life depends on the battery type, power and LED type of the lamp. Most of the riding lights are labeled with the duration of use and battery life. Head bike lights are mounted on handlebars, but many head bike lights can also be mounted on your helmet. For night riding, you should consider using both types. 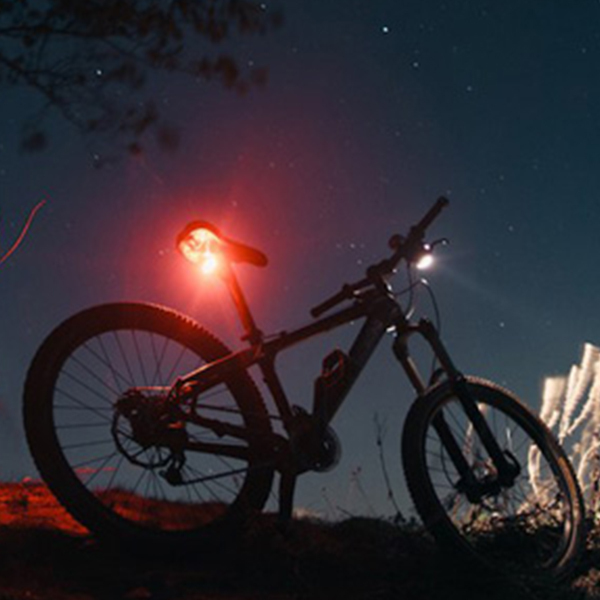 The bike light from the helmet lamp can be turned by your head, so if you only use one light, you’ll find that the helmet lamp is the most versatile. 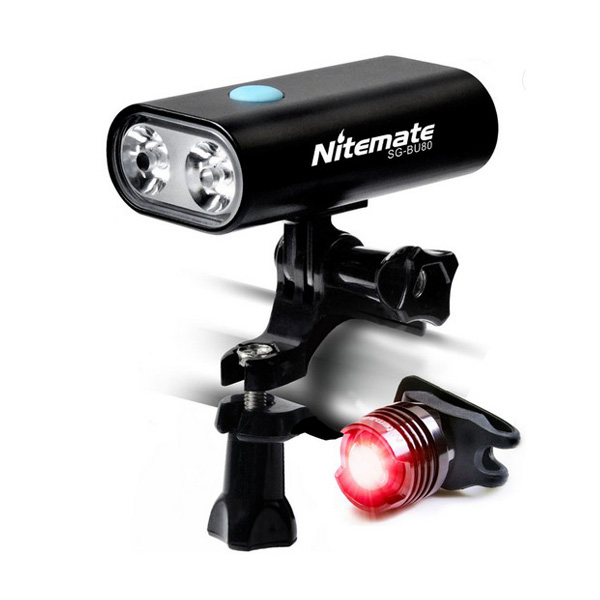 The rear safety bike light can be mounted on your backpack, pocket or seat lever. Some can also be fitted at the back of the bike rack. Side lights are usually mounted on spokes or frames. The spokes mounted on the lights are particularly noticeable because they clearly show your wheels in motion. Let’s choose a right bike light for our cycling.